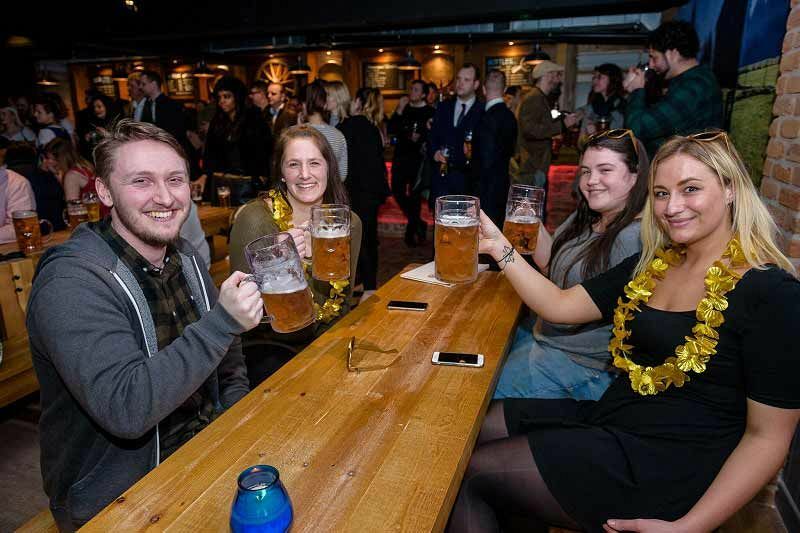 This Christmas in Nottingham, sample a taste of Bavaria with a shared party night at this brilliant Bierkeller venue where you’ll indulge in some seriously good food, drink and entertainment. 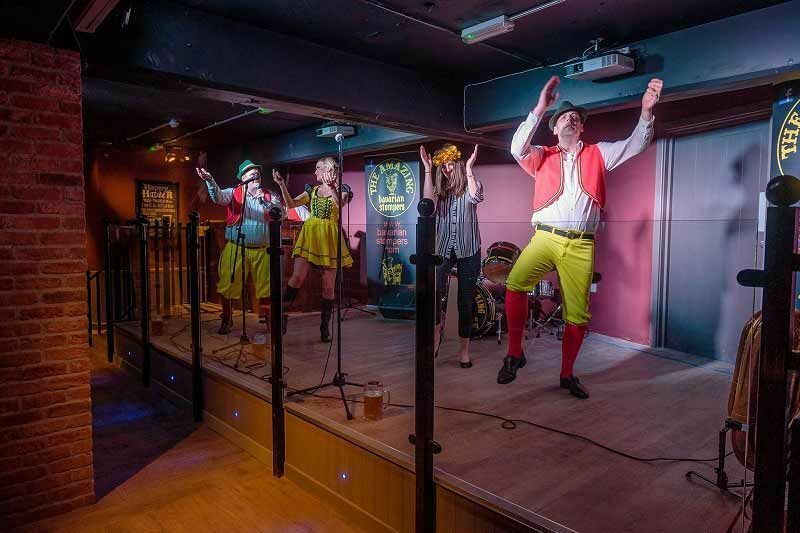 There’s several party packages available, including the option to experience live entertainment from the incredible Oompah band on Thursdays, Fridays and Saturdays with prices costing just £16.67 per person excluding VAT! You’ll enjoy a fun and lively atmosphere during your party evening and you’ll join other party-goers as they let their hair down and celebrate the festive season! This venue features classic long wooden benches, where you’ll enjoy your German feast and sip your drinks. 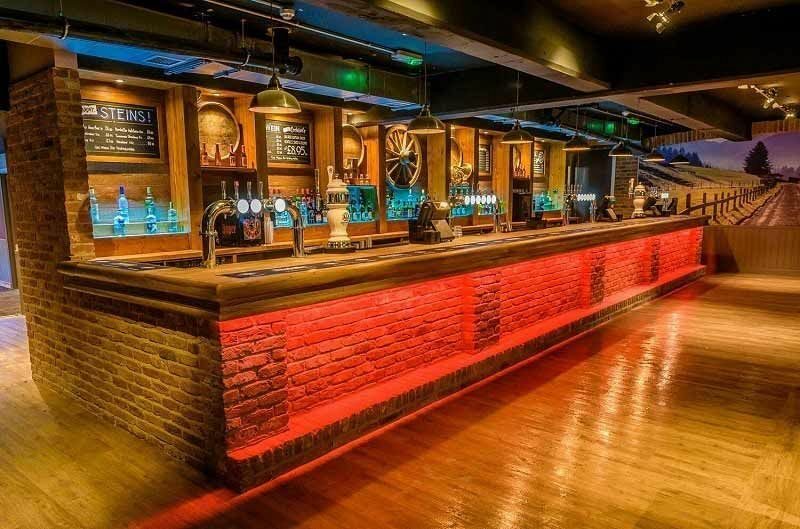 Whether you’re after a stein of Haus Bier, cider or a cocktail, there will be plenty of choice here that everyone will enjoy. As for the food, tuck into a succulent hog roast and savour the full and rich flavours. Vegetarian and vegan options are also available. A traditional German pretzel and complimentary shot will also be provided with this package to keep the merriment flowing! It won’t be long until the Oompah band emerge and launch into their brilliant set which will have everyone dancing on the tops of the tables! Enjoy lively and energetic performances which will be sure to raise the roof! 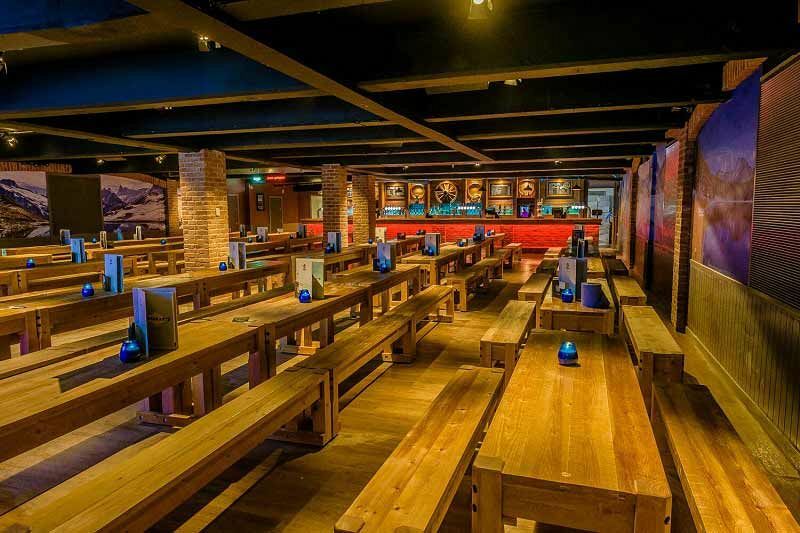 Other Bierkeller packages are available with food included from just £15 per person excluding VAT throughout the week. Be sure to book your festive party ASAP as the popular Bavarian nights with live entertainment from the incredible Oompah band will be sure to sell out quickly!